Ants Talioja, caretaker of Tuhala Witches Well, let know on Friday at 9 o’clock that on Thursday night the Witches Well on the Nabala – Tuhala nature protection area, in the Tuhala karst region, started boiling. The Witches Well previously boiled three years ago, in 2013. This unique karst phenomenon may be visible from one day to three weeks. In February the Witches Well boiled earlier 17 years ago in 1997. The Tuhala Witches Well boils as long as high water lasts, or until night frosts end the exceptional scenery. When the flow in the Tuhala river becomes 5000 litres per second a pressure is created in the below-ground river and the Witches Well starts boiling, about 100 litres per second. It is not an artesian well. 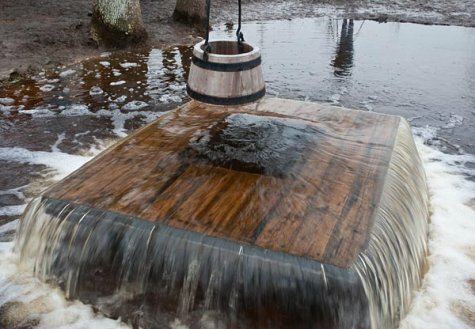 The Witches Well has become a symbol of Estonian nature.